Planned Products LLC is the sole owner of the information collected on this site. When you use our website, we collect personal information such as your name, e-mail, billing & shipping address, telephone number, and payment details. This information is solely used to correctly and fully process your order. We will not sell, share, or rent this information to others in ways different from what is disclosed in this statement. All transactions are secure and encrypted, and we never store your credit card information. Planned Products LLC (Seller) ships internationally almost every day and we make every effort to reduce or eliminate custom fees, tariffs and taxes on international shipments. We are not responsible for such fees. While VAT, Customs and other fees may be charged by the destination country upon delivery we cannot refund these charges. We do not charge the fee, did not collect the fee and have no control over the assessment. The Seller assumes no responsibility for alerting Buyers to these fees nor refunding such fees, tariffs and taxes. The Buyer has 30 days to return products to the Seller. Products must be returned to the seller prior to refund. Returns must include the original Sales Receipt and a note indicating the the reason for the return. Return shipping on products the responsibility of the Buyer. In most cases the product amount less the original delivery cost will be refunded. Planned Products reserves the right to, in certain cases, apply a 20% restocking fee on returns. Some Frost Fighter products have a shelf life date which is normally printed on a sticker and applied to the package. Product past the shelf life date are considered expired. The Seller has no obligation to replace or refund expired products. We know timely delivery is important. 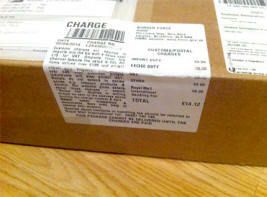 We make every effort to ship orders immediately on receipt of the order. On occasion an order can be delayed in shipment for reasons beyond our control. In theses cases we ship the delayed order immediately when the reason for the delay is resolved. The Shipper is under no obligation to refund shipping charges due to circumstances beyond our control. We are especially vigilant for orders that carry GAURENTEED expedited delivery and make every effort to provide expedited production of these orders. On occasion an order will be unavoidably delayed in production and result in a shipping delay. The Seller has no obligation to refund shipping charges in cases where a production delay results in a delayed shipment even if overnight, second day or three day delivery is selected. The United States Post Office (USPS) provides a Priority delivery service. This service is NOT a GAURENTEED delivery product meaning that the delivery date is an estimate, not a guaranteed date. In most cases, the expected delivery date reflects a delivery time of 1, 2, or 3 business days and is based on origin, destination, USPS package volume, weather and drop-off time. The USPS Priority Delivery expected delivery date does not come with a money-back guarantee from the USPS. The Shipper is under no obligation to refund shipping charges due to late delivery of USPS Priority delivery. If the shipment is time critical then use a GAURENTEED delivery product with UPS or FEDEX. Even with these carriers delivery can be effected weather and other issues not in the carriers control. The Seller makes every effort to insure delivery of products. The Seller may replace product lost in transport or delivery at its discretion but has no obligation to do so and may, at its discretion, issue a refund rather than replace the product. If the product is referenced as DELIVERED by the entity responsible in tracking for delivery including USPS, FEDEX, UPS and others the Seller has no obligation to replace the product. Products are warranted to the original retail customer for a period of one (1) year from the date of retail purchase against defects in materials and workmanship. Planned Products, LLC agrees to correct any such defects by repair or replacement, in its discretion. Please contact Planned Products, LLC to request a return authorization and procedures at the address below. TO THE FULL EXTENT PERMISSIBLE BY APPLICABLE LAW, PLANNED PRODUCTS, LLC DISCLAIMS ALL IMPLIED WARRANTIES, INCLUDING BUT NOT LIMITED TO IMPLIED WARRANTIES OF MERCHANTABILITY AND FITNESS FOR A PARTICULAR PURPOSE. PLANNED PRODUCTS, LLC SHALL NOT BE RESPONSIBLE FOR PRODUCT MALFUNCTION OR FOR PHYSICAL INJURY OR PROPERTY DAMAGE RESULTING IN WHOLE OR IN PART FROM NEGLIGENT USE OF THE PRODUCT, IMPROPER OR CARELESS INSTALLATION OR MAINTENANCE, UNAUTHORIZED MODIFICATIONS OR UPGRADES, CUSTOMER ABUSE OR NEGLECT OF THE PRODUCT OR OTHER INFLUENCES BEYOND THE DIRECT AND IMMEDIATE CONTROL OF PLANNED PRODUCTS, LLC, ALL OF WHICH WILL CAUSE ALL WARRANTIES TO BE VOID. THIS WARRANTY DOES NOT APPLY TO NORMAL WEAR AND TEAR OF ANY PARTS, OR IF UNAUTHORIZED REPAIRS AND/OR ALTERATIONS HAVE BEEN PERFORMED. IN NO EVENT SHALL PLANNED PRODUCTS, LLC BE LIABLE FOR ANY INDIRECT, INCIDENTAL, PUNITIVE OR CONSEQUENTIAL DAMAGES AND, IN THE EVENT PLANNED PRODUCTS, LLC IS FOUND LIABLE FOR ANY DAMAGES, SUCH LIABILITY SHALL BE LIMITED TO THE COST OF THE PRODUCT CAUSING SUCH LIABILITY. There are no warranties which extend beyond the descriptions herein. The sole and exclusive remedy pursuant to this warranty is the repair or replacement of your product at the sole discretion of Planned Products, LLC. All disclaimers and limitations of liability shall apply even if the remedy of repair and replacement fails of its essential purposes. Any action against Planned Products, LLC based on the alleged breach of this warranty must be brought within one (1) year of the claimed breach. The information disclosed in this document, including all designs and related materials, is the valuable property of Planned Products and/or its licensors. Planned Products reserves all patent, copyright and other proprietary rights to this document, including all design, manufacturing, reproduction, use and sales rights thereto, except to the extent said rights are expressly granted to others. The products discussed in this document are warranted in accordance with the terms of the Limited Warranty Statement. However, actual performance of each product is dependent upon factors such as configuration, customer setup, installation and operator control. Because implementation by customers vary, the suitability of a specific product to the customer’s application must be determined by the customer and is not warranted by Planned Products. Neither Planned Products nor appointed sales agents shall be liable to the purchaser of this product or third parties for damages, losses, costs or expenses incurred by purchaser or third parties as a result of accident, misuse or abuse of this product. To allow for design improvements, the information in this document is subject to change at any time, without notice. Planned Products assumes no responsibility for errors or omissions. Neither is any liability assumed for damages resulting from the use of the information contained herein. Reproduction of this document or any portion thereof without written approval of Planned Products is prohibited. Since the Seller cannot control the manner, installation or use of its products after their sale, Seller will not be responsible for any consequential or indirect damages. There are no express warranties which extend beyond the description on the face hereof. Seller disclaims any implied warranties of merchantability or fitness for any particular purpose. The Seller will, at its option, either replace the products sold or refund the purchase. No warranties will apply if the products are in any way altered or modified after delivery by Seller. Please contact us with any concerns. 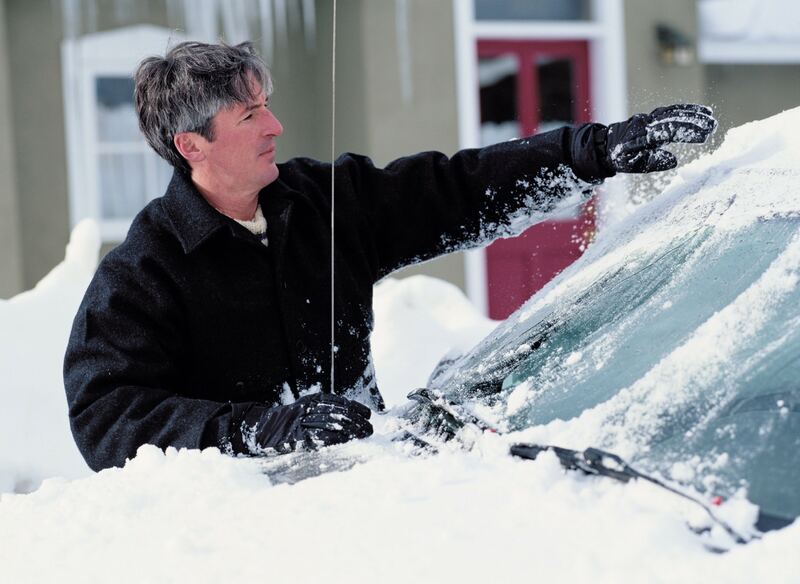 There several ways to contact Planned Products LLC, the manufacturer of the Frost Fighter®, Clear View and ThermaSync® defroster repair and replacement products.